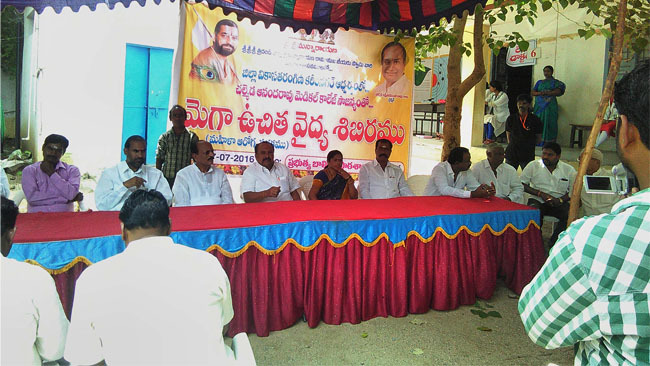 On 5th Oct 2015, one more free Homeo Clinic was inaugurated by MLA Mr.Madhavaram Krishnarao. This is the second clinic opened by KPHB Vikasa Tarangini which is in 3rd phase Mahilamandali premises. The first clinic was opened in KPHB colony, 2nd road Kanaka Mahalakshmi temple. Members of Women Welfare and Vikasa Tarangini members attended in the inauguration. Dr Krishnamacharyulu spoke about importance of homeo and honored them with shawls and books on Ramanuja life history. Mr. Satyanarayana Murthy explained about glory of Ramanuja and gifted the devotees with posters of Acharyas.